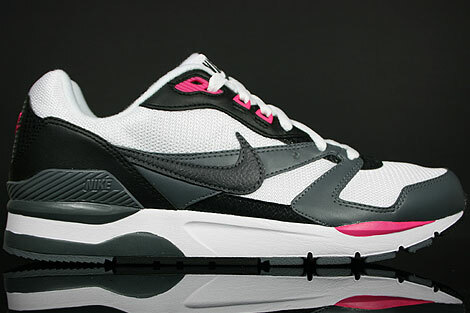 This new Nike Twilight Runner EU combines some of the best Nike running shoes! 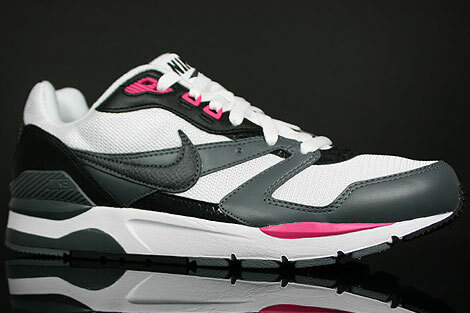 With the mixture of the Nike Air Structure Triax, Nike Air Stab and Nike Pegasus, Nike has blended a very solid pair of sneakers. 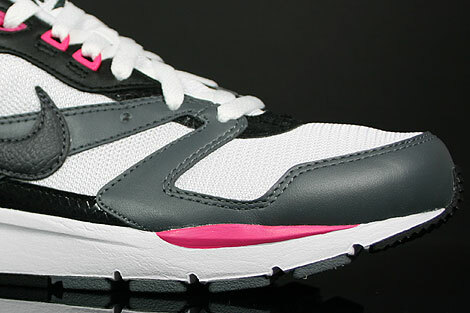 The upper features a breathable mesh and smooth leather upper, while the bottom features a EVA midsole. 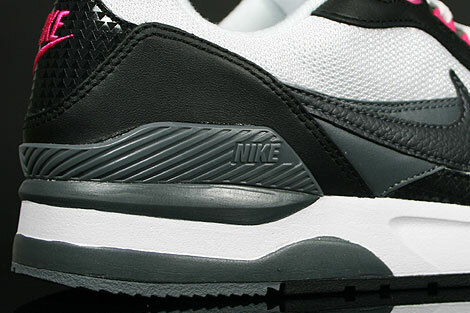 This sneaker featuring a mix of black and flint grey leather, a black swoosh, white mesh and on the tongue white mesh and inside fresh white inner lining. 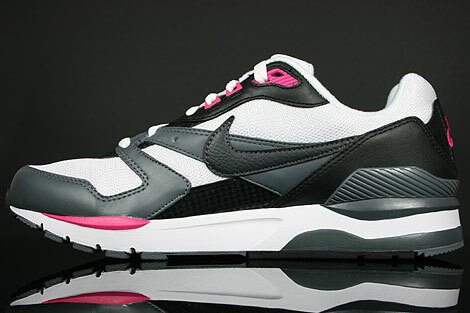 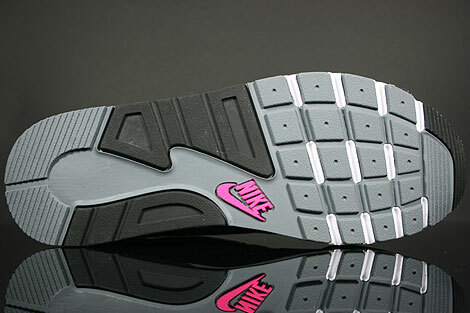 The highlight will be the decent color combination, the pink accents and the sole unit in the same colors! 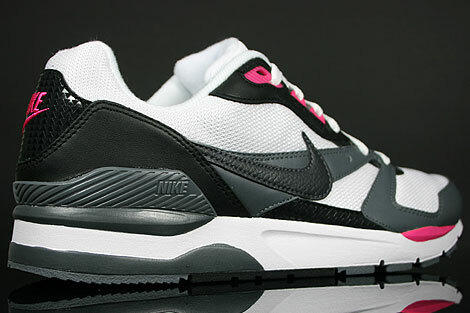 Excellent colourway for the summer season.